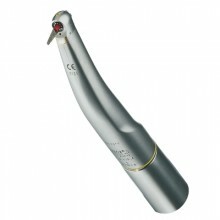 Stress-free working thanks to the low weight and perfect balance (the SL motor is integrated into the handpiece casing). High-quality titanium casing is easy to grip and pleasant to the touch. Smooth, flowing contours ensure optimum handling.